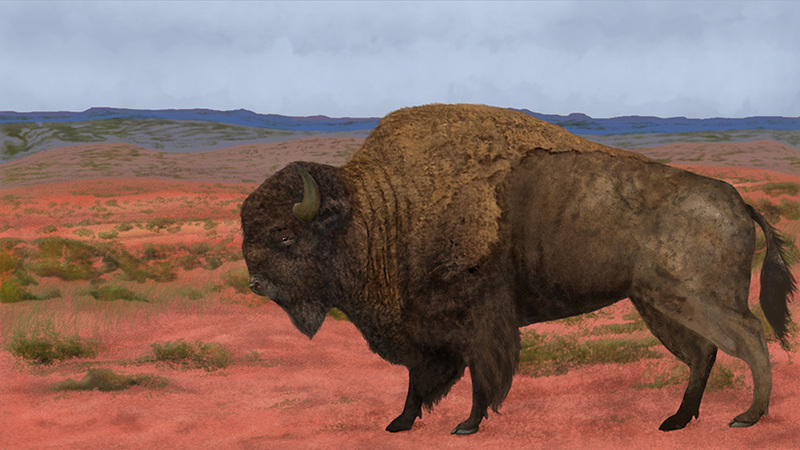 This is a sample from a large number of illustrations and animations included in an interactive game about the American Bison. 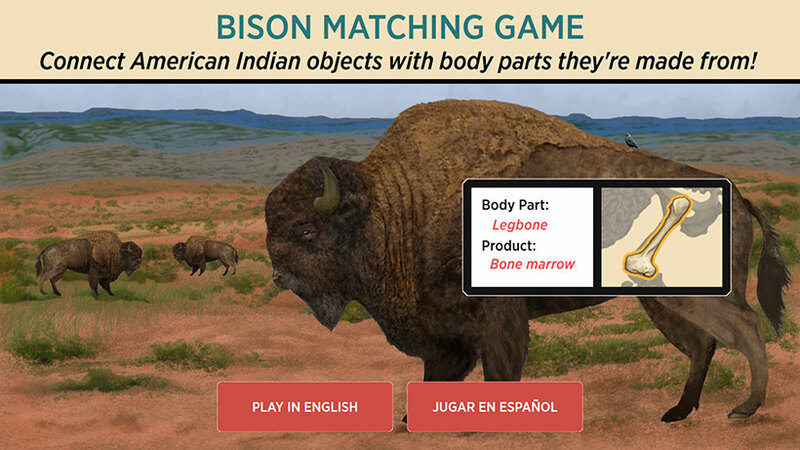 The game is part of the “Becoming Texas” exhibit of the Bullock Texas State History Museum and takes the visitor on a learning experience about the use of bison body parts by Native Americans. 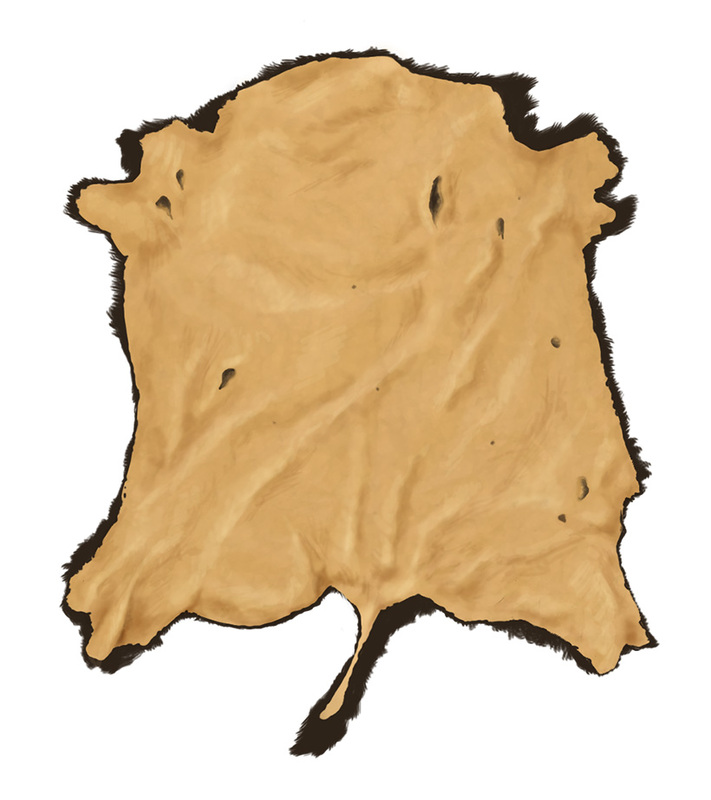 Did you know that the bladder was used as a canteen and the scapula bone turned into a hoe to dig crop fields? 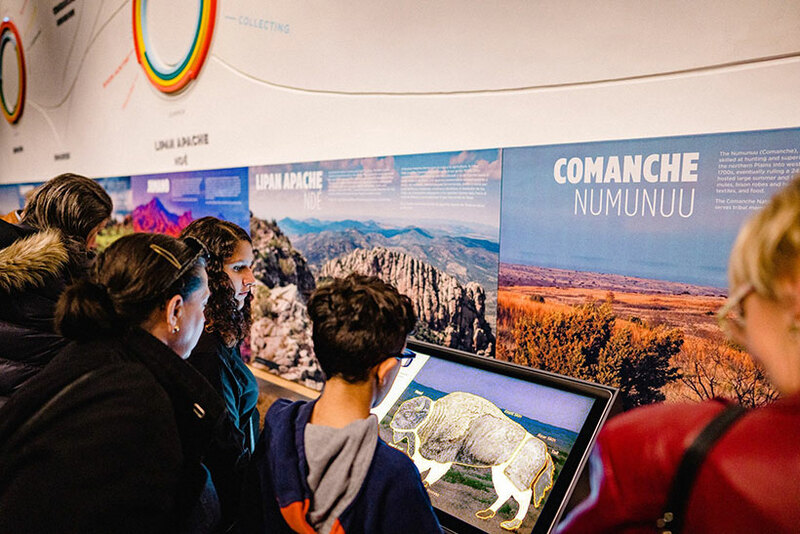 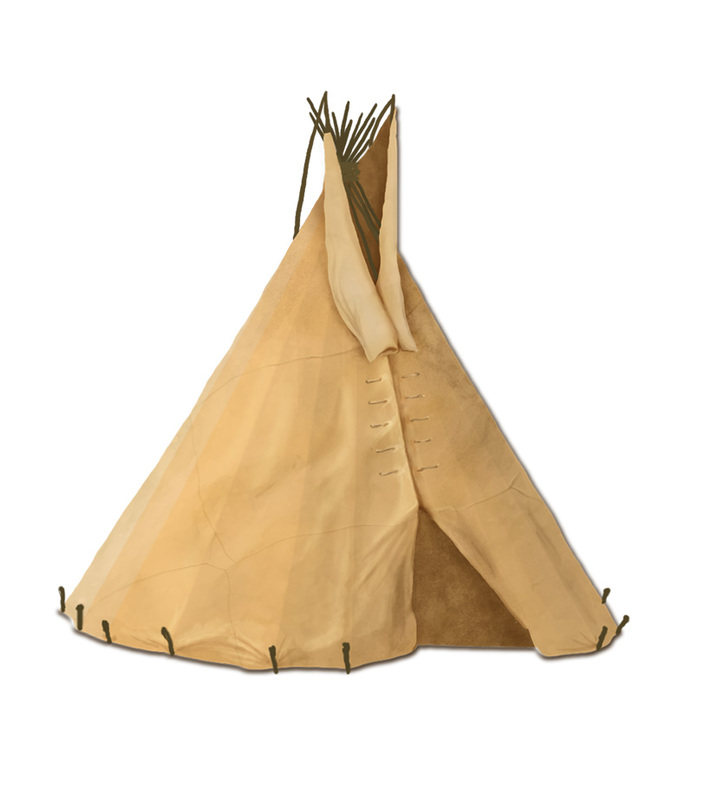 In the game, the visitor has to guess what was the source material for a number of objects, from a spoon to a tipi, to a parfleche. 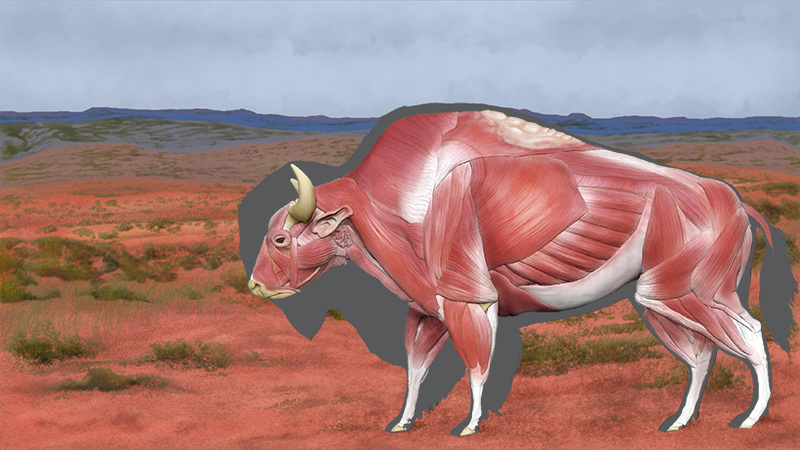 The answer can be an organ, muscle, bone or lie on the external anatomy. 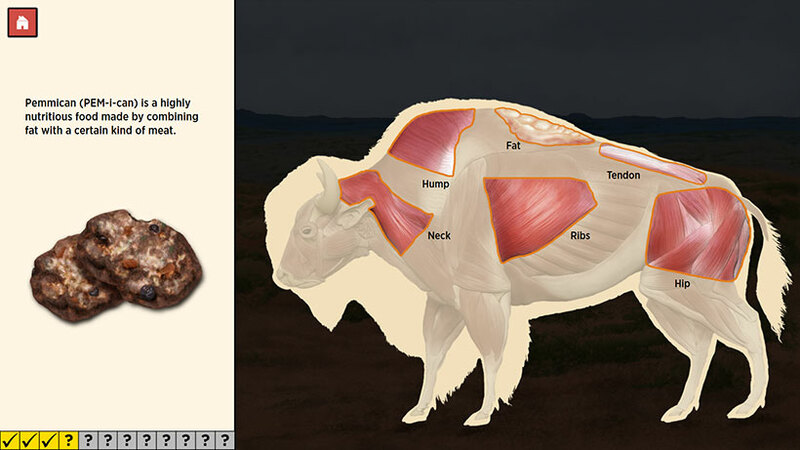 With the correct answer comes a short animation explaining the method of creating the object or using it.